Don't show up for a night of fun unless you're wearing a floral blazer. These blazers are the perfect night life jacket to wear with either jeans or slacks and look like you own the club. 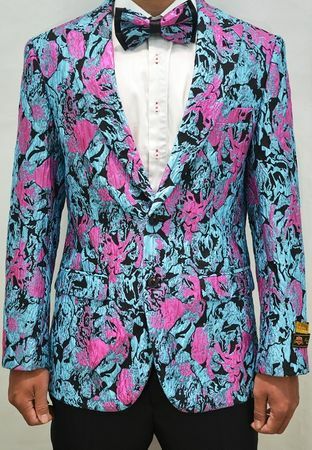 This modern fit fancy blazer in a turquoise floral pattern and has side vents in the back ready for the party event. This comes with matching bow tie.